River City Bank has a single branch located at 228 North Second Avenue in Rome, Georgia. Its small business offerings include business savings and checking accounts, loans, credit cards and merchant services. It is rated five stars on Google. River City Bank has a single branch located at 228 North Second Avenue in Rome, Georgia. You can use its contact us page to see its hours of operation. 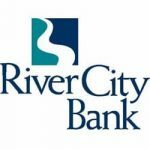 River City Bank also offers the following business services: business savings and money market accounts, credit cards, lines of credits, business and Small Business Administration loans and commercial real estate financing. Currently, it doesn’t offer wealth management. Find out more about its small business offerings on its website.